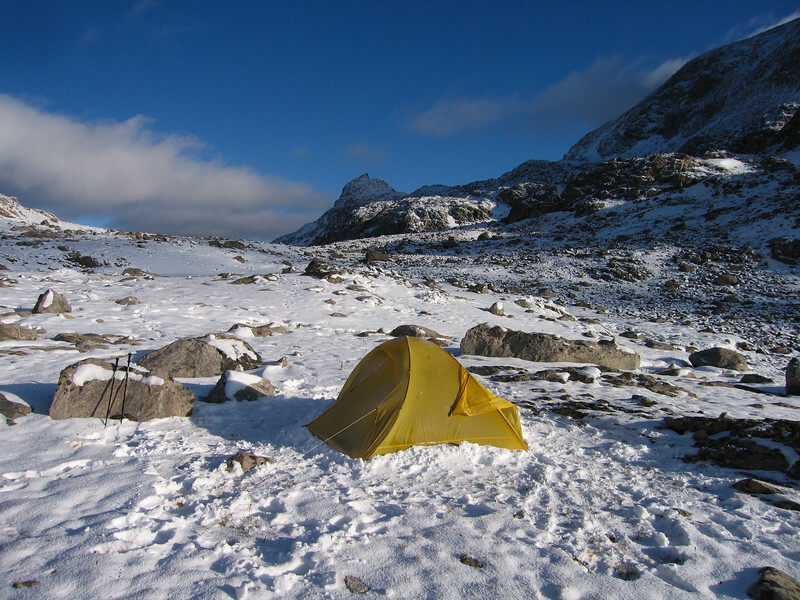 A sunny but cold morning in the Wind River mountains above 11,000 feet. Temps in the teens. Sept. 2008.